The perfect blend of sweet romance and historical flavor, Wait for Me, from debut author Caroline Leech, brings a fresh new voice to a much-loved genre. But as Lorna reluctantly spends time with Paul, she feels herself changing. The more she learns about him—from his time fighting a war he doesn’t believe in, to his life back home in Germany—the more she sees the boy behind the soldier. Soon Lorna is battling her own warring heart. Loving Paul could mean losing her family and the life she’s always known. With tensions rising all around them, Lorna must decide how much she’s willing to sacrifice before the end of the war determines their fate. Caroline Leach is a Scottish writer who moved to Texas for an adventure ten years ago. She lives in Houston with her husband and three teenage children. 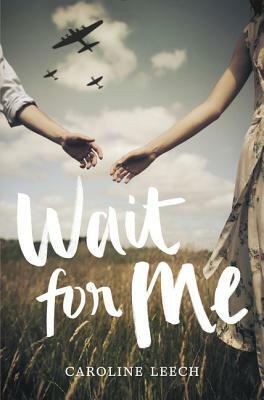 Wait for Me was her debut novel, followed by In Another Time. She can be found online at www.carolineleech.com.